Smaller, historic towns such as Dunsmuir keep California’s rich, storied past alive, while its bigger cities, such as Sacramento and San Diego, remain primary hubs of transportation, trading and technology. Meanwhile The City of Dunsmuir claims to have the “best water on Earth”, which comes from a crystal clear river that flows from the snowcapped Mt. Shasta (White Mountain), with an elevation of 14,179 feet. 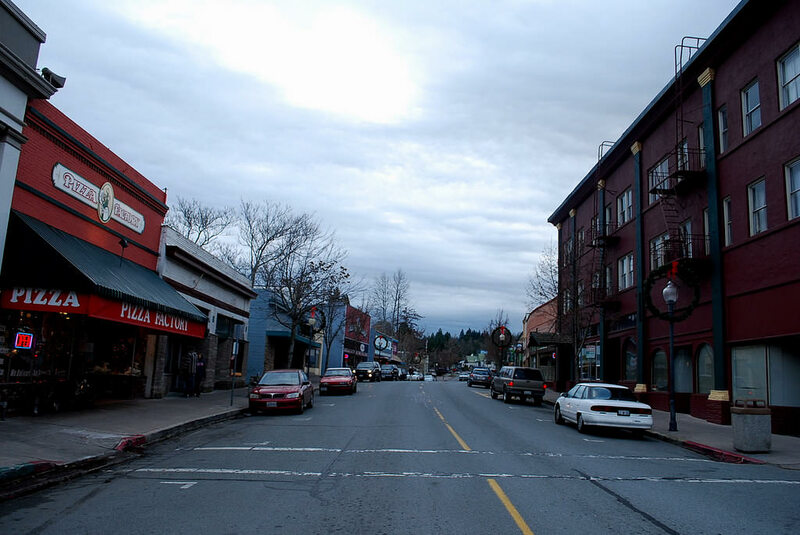 Dunsmuir is often called a “serene” and “secluded mountain paradise”, and its residents take full advantage of the landscape’s prime skiing, hiking, mountain-biking, rock-climbing, and camping opportunities. Enjoy the unadulterated views of Jeffrey ponderosa pine trees and canyons along the Sacramento River, or step into history at the old railroad depot and downtown’s 1920’s architecture. The Dunsmuir Recreation & Parks Department built the ten-acre Dunsmuir City Park on the banks of the Upper Sacramento River. Each spring, the city reopens the Dunsmuir Botanical Gardens that sits in the park’s heart. As the City of Dunsmuir proudly reports on their official website, the town has a whopping zero traffic lights. There aren’t any parking meters, either, and you won’t get stuck in traffic anytime soon.